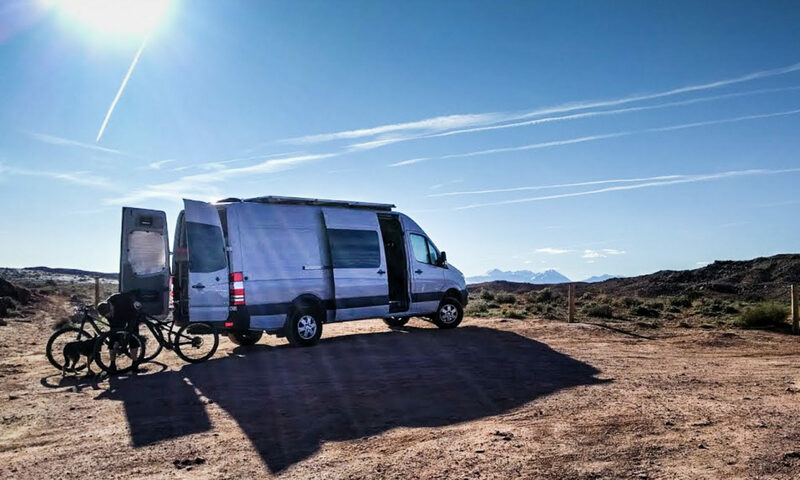 There are a lot of Sprinter owners in the Seattle area who dream about doing, are doing, or have done their own conversions. We held an event on 22 April 2017. Here’s what happened. I’m leaving this page up in case we do the same thing next year too! It’s time for a show-and-tell event. Bring your Sprinter van if you have one, or just come to ask questions. RSVP here if you plan on coming. To make it easier to let people see everyone’s vans, we’d suggest you try and park in the area marked on the map. This is at the end of the least-used car park so we’ll be out of everyone else’s way. This is a family-friendly park with lots to do. If you have family members who don’t quite share your love of all things Sprinter, they can go bird watching (eagles, osprey, waterfowl), hiking, mountain biking, rail trail biking, fishing, paddling, or just run around in the massive grassy area. If we get good interest in this event, we’ll try to reserve the covered picnic area so folks can hang out somewhere dry if necessary. The park has a camp site attached with hook-up spots and regular camping spots. Find out more at the King County site. Carnation town has several restaurants, a bar, Starbucks, and a supermarket. The Roadhouse in Fall City is also good for all day breakfast. The park itself is County property so no alcohol is allowed. Not sure how they’d tell it wasn’t coffee in your travel mug, though. Wait – you mentioned mountain biking? There is good mountain biking accessible directly from the park, and there are several other trail systems in the vicinity (Tokul East and Tokul West, Duthie Hill, Soaring Eagle, or even Tiger Mountain if you want a little more of a drive). Bike in the morning then come say hi in the afternoon. 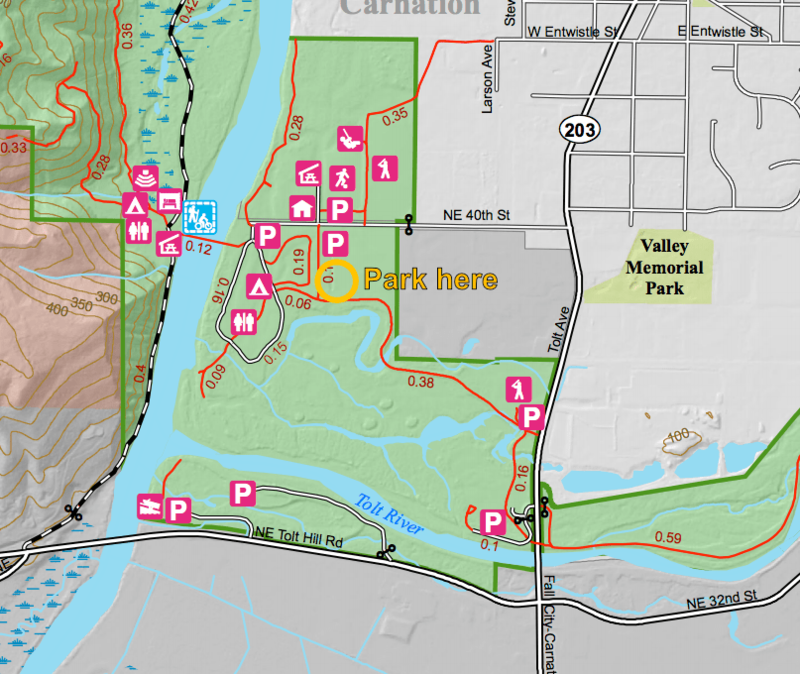 Park entrance is at NE 40th St and Highway 203 at the south end of Carnation. There’s a King County map or just use the Googles. Once you’re in the park, enter the first paved parking area to the left and continue to its far end. Remember – RSVP here if you plan on coming. Looking forward to seeing you there!